Richards Photograph. The Ross Bridge at Wharf Road was placed in position 1881; it was second-hand railway turntable. The bridge was replaced on 9 Apr 1981. 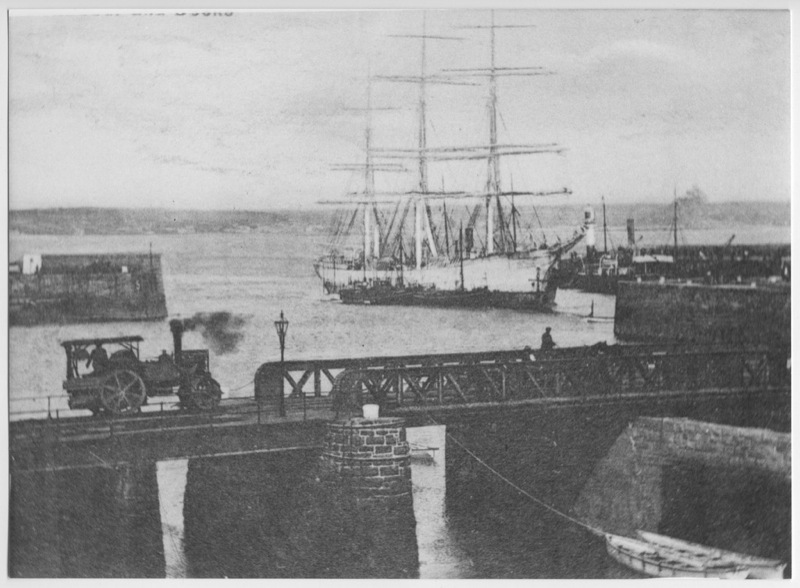 This photo shows a full rigged ship in the harbour, a steam roller and a horse and cart on the bridge. “The old Ross Bridge with ship, steam roller and horse and cart. The Leon Bureau,” Morrab Library Photographic Archive, accessed April 22, 2019, http://photoarchive.morrablibrary.org.uk/items/show/6847.